These CSL-5.5 wheels are sold per complete set of 4. Looking for a wheel to set off the appearance of your vehicle, but want a design that not everyone else has? The wheel you are looking for is the Concpet One CSL-5.5 features matte black spokes and is finished with a gloss black step lip. 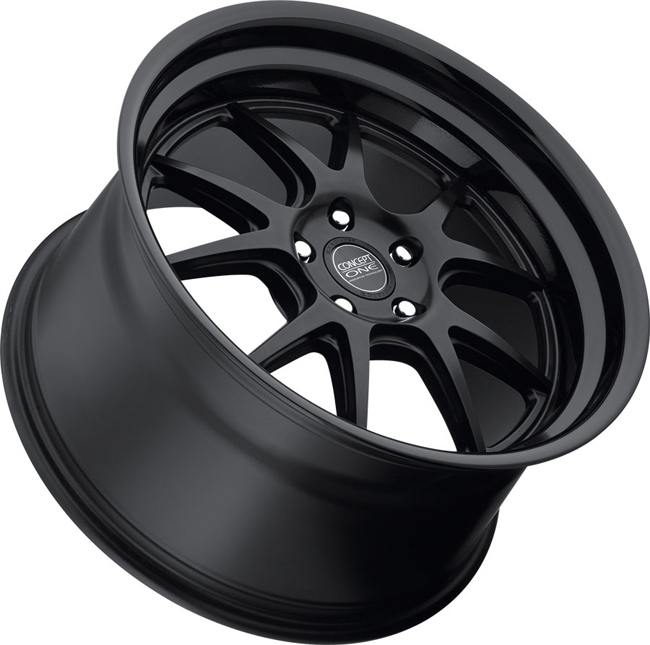 These wheels are available in 19" staggered fitments in 5x120 and 5x114.3 fitments for many popular applications. The CSL-5.5 requires special adapters for the TPMS sensors, if you require these we will include them at no charge. If you would like to know if the Concept One Wheels CS-5.0 would fit on your car, don't hesitate to give us a call, (714) 582-3330. These Concept One Wheels CSL-5.5 are manufactured to meet the highest performance, quality, and safety standards in the industry. The wheel passes JWL and VIA standards to ensure the highest level of safety and quality. Why Buy your Concept One CSL-5.5 Wheels From Us? 1. Extensive knowledge regarding the wheels, including fitments. 2. We provide top notch customer service and fast delivery times. 3. We have the fastest shipping times. 4. We stop at no ends to make sure our customers are happy with their purchase. 5. We offer one of the lowest prices on the Concept One Wheel CSL-5.5. 6. We quality control every single wheel before we ship them out, to ensure you get a perfect wheel. For your convenience we offer wheel and tire packages. All the mounting and balancing is done in house on our top of the line Hunter road force mounting and balancing machines. Please email or call (714) 582-3330 for a quote. Shipping is a flat $99 to the anywhere within the United States (Excluding Hawaii & Alaska). We can ship internationally, please email or call for a shipping quote.